« Coat of Arms? More Like a Call To Arms! As I mentioned in my introductory post, I am moving from the shadowy world of extra-parliamentary activities and into the bright lights of the public sphere. I am campaigning. Utilizing the media to press home South London’s story. Most of all, I’m aiming for international exposure. The reaction was mixed, ranging from vile north London hooligans chanting “Jump! Jump! 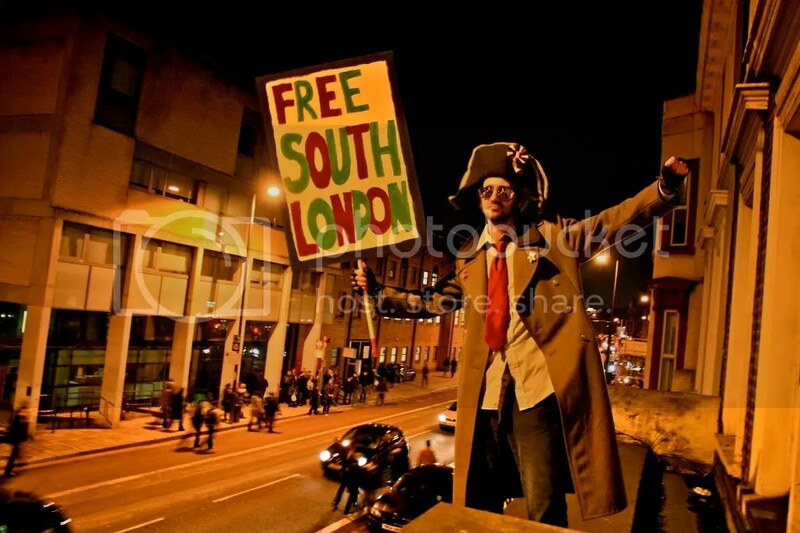 Jump!” to messages of support from my fellow South Londoners (full marks & representations to them for their bravery). I also got respect from the Brazilian & Irish fans, probably because of the lingering memory of their own imperialistic oppressions. But the most disturbing thing was the sheer number of north London children hurling abuse at me. Sad to her their little voices so full of hatred. Sad to hear them swearing their traps off. Sad to see the blossoming of their ignorance. Sad…. sad to think of bludgeoning their faces off in the revolutionary War of Independence. You have to break a few eggs to guillotine an omelette. Peace. Over & Out. This entry was posted on March 3, 2010 at 2:35 am and is filed under Football, FreeSouthLondon, North London, Revolution, South London. You can follow any responses to this entry through the RSS 2.0 feed. You can leave a response, or trackback from your own site. I spoke with West Belfast defector, Geraldine Boyle, on a tapped line last night. She said that your sign really lets down the Revolution; it’s too shabby. I suggested that she read the semiotics of the sign, but to now avail. I don’t know who this troublesome Geraldine “If That IS Your Real Name” Boyle is, but, after defecting from West Belfast and dissing South London, I reckon it’s hightime she be labeled An Enemy Of The Revolution. 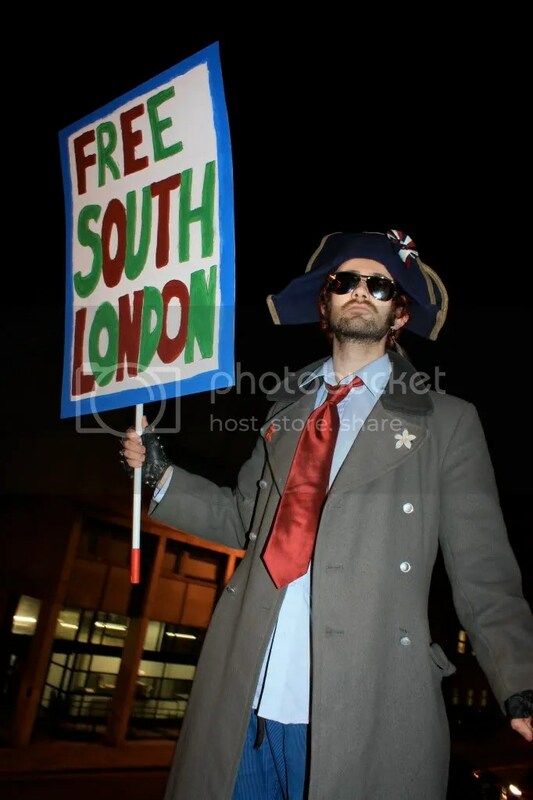 The oppressed masses of my half-city can barely afford a small bottle of PVA glue, imagine how they’d react if their charmingly handsome revolutionary leader was swanning about sticking glitter & sequins to a protest sign?! We will save such sparkling things for the independence celebrations.